We had planned our work frenzy since the beginning of autumn. We aimed towards the Universitys Christmas/new-year holiday. Our initial plan was to finish the boat completely. It was a good estimate and we did not miss mark too much. Work started 10 o’clock (am) on the 24th of December. 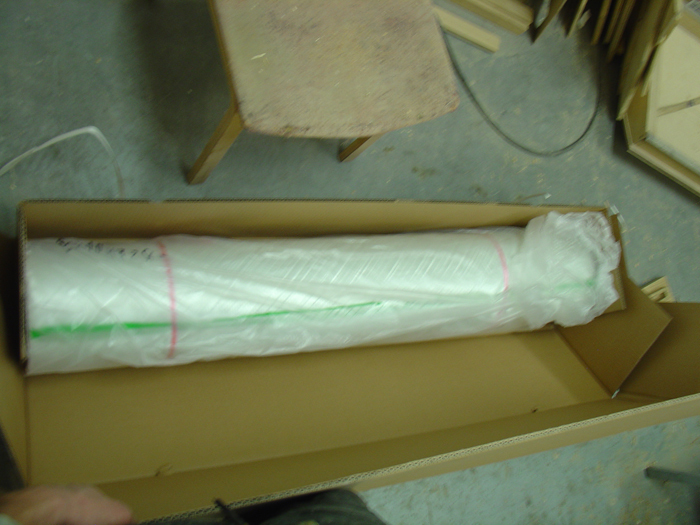 Forehad we obtained a new roll of fiberglass: 50 kg of 220 gr/cm2 biaxial fiberglass, supplier: Bang&Bonsomer.